After Billy Lo is killed while seeking the murderers of his friend, his brother Bobby goes all out to bring the perpetrators to justice. Documentary of the life of actor Bruce Lee, with interviews with cast members and crews who worked with him. Chin Ku: You're lucky I'm a fair man, otherwise you'd be dead. Beat it! Q: What are the differences between the Hongkong Version and the International Version? 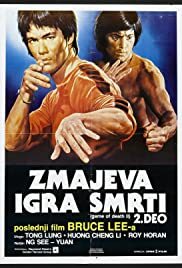 A truly surreal piece of classic exploitation that's just so insane you feel you have to love it, a slice n' dice treatment made on real Lee footage jumbled together to create yet another new `Bruce Lee movie', much in the same vein as its non-related predecessor, however this one's a lot more fun. Bruce Lee returns, so they say, as Billy Lo, eager to discover the reasoning behind his master's sudden death, which sure enough leads to his own end. Enter Billy's brother Bobby (Kim Tai Chong, or rather Lee-alike Tong Lung') and the second half of this crazy charade begins, with Bobby continuing the investigations into both the deaths. When the Lee footage runs out (by ludicrously killing off the character halfway using the classic fall from the under carriage of a moving helicopter' trick), the movie is left to Kim who in actual fact does quite well with it, given the circumstance: events consist of visiting the palace of crazy fighter Horan, battling a man in a tarzan outfit in some underground sci-fi laboratory, before beautifully laying waste to a random monk (Lee Hoi San) and Hwang Jang Lee. It's complete madness, but like a cute family puppy it's just too difficult to put down. A shameful exercise that's just unashamedly entertaining.